The taste of success is sweet not when you get what you want at the peak of your career, but when you get it amidst the stormy weather after overcoming difficult challenges. What happens with Ayanda, a 21-year-old African girl, would destroy even a strong human being. However, Ayanda manages to finds her way through pain and grief, in spite her young age. All what she wants is to keep alive the memory of her father, Moses, who had worked day and night as a car mechanic till he died. Her dream is to keep the garage at any cost, so, that the memory of her father would stay alive. In doing so, it slipped from her mind that keeping the memory alive meant to keep herself as a prisoner of a tragedy that had struck her father and the family in the past. Would she be able to walk the path of pain and grief which she had paved for herself? That’s something you are going to find out. Anthony Bila is a photographer, whose task is to capture the beauty of the African culture, and how the African Continent constantly reinvents itself. So he finds Ayanda, who owns a garage where two car mechanics work. In this way, the film begins as a docudrama, but soon it turns into a dramatic motion picture, where you get a chance to watch the life of Ayanda and her struggles as she tries to keep the garage from being sold. Even though we are not told anything about the real cause of Moses’ death, we see how Ayanda confronts her mother, demanding that she be given three more months to prove that she will be able to turn the garage into something big. This is when Ayanda gets an idea to turn relatively new cars into old-fashioned ones, and sell them as antiques at auctions. Her idea works out perfectly, but the ghost from the past still haunts her and her family members. This prevents her from being fully dedicated to her business. The only way for our heroine to overcome the challenge, and leave the past behind, is to confront her mother once again. However, the truth she finds out by doing so is not pleasant, and put her in a difficult situation of making choices: to free herself from the current successful sanctuary, which she had created for herself, or to stay where she is. Which choice would bring her a long-awaited happiness is the question only she is able answer. AYANDA and the Mechanics, written by Trish Malone and directed by Sara Blecher, is a thought-provoking movie to watch. It’s an excellent drama that conveys an important message. Its philosophical approach teaches us how to overcome pain and grief. It emphasises that willingness and strong determination is the key to good things that await us in the future. 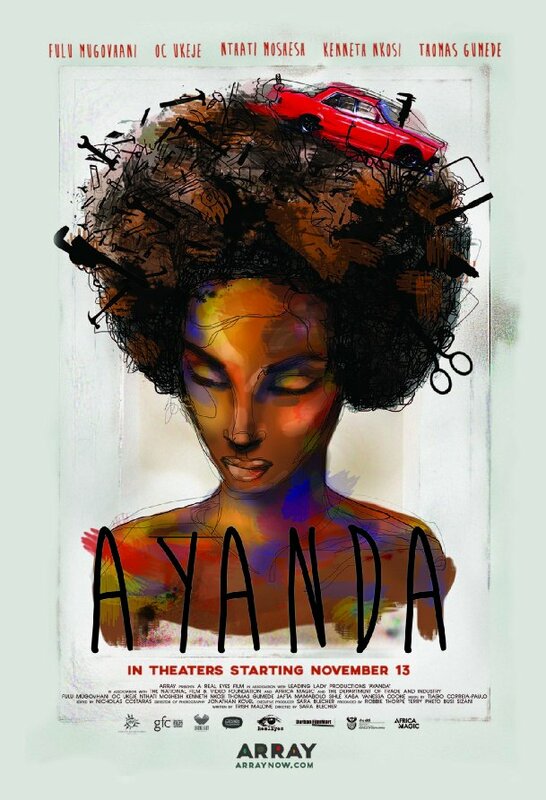 In this context, want to quote Albert Einstein: “the measure of intelligence is the ability to change.” Ayanda is portrayed as a clever girl who realizes that change is the only thing from which she is able to get something good out of the scars caused by past tragedies; it’s a matter of time till she finds a way to change herself.